Global leading producer of prepared microorganisms for quality control testing, Microbiologics, Inc., has received ISO 13485: 2003 certification. International Organization for Standardization (ISO) 13485: 2003, Medical devices - Quality management systems - Requirements for regulatory purposes, is the principal standard for manufacturers of medical products, devices and components. BSI is the accrediting body that certified Microbiologics to the ISO 13485 standard. Established in 1941, Microbiologics has been producing commercial ready-to-use quality control microorganism preparations for more than 40 years. With a product portfolio of more than 800 different microorganism strains which are manufactured in 16 distinct formats, including both qualitative and quantitative configurations, Microbiologics has the largest and most diverse line of QC microorganism products in the market. Microbiologics manufactures cost‐effective, reliable, and easy-to-use microorganism preparations for Quality Control testing in microbiology laboratories across multiple disciplines including clinical, food, pharmaceutical and cosmetic, medical device, water and environmental. Microbiologics is an FDA registered establishment and has received ISO 9001 and ISO 13485 certification, as well as ISO 17025 and ISO Guide 34 accreditations. Currently, Microbiologics has an international distribution network of over 140 companies throughout the world. For additional information, please contact Customer Service at (320) 253-7400, email marketing@microbiologics.com or visit www.microbiologics.com. BioFire Diagnostics, Inc., announced today the FDA clearance of its FilmArray Blood Culture Identification (BCID) Panel. To date, the 27-target panel is the most comprehensive test to be approved by the FDA. The FilmArray BCID Panel provides results from positive blood cultures, and can identify more than 100 blood pathogens known to cause sepsis. For each hour that severe sepsis goes untreated, the average mortality rate increases by 7.6 percent, making timely diagnosis and administration of appropriate therapy imperative for positive patient outcomes. The BCID Panel is designed to help hospitals identify bloodstream infection-causing organisms more rapidly than conventional identification methods. Rapid identification of pathogens in positive blood cultures has been shown to reduce mortality rates, shorten hospital stays and lower overall costs due to sepsis. "We have made it a top priority this year to significantly reduce deaths caused by sepsis, and we plan to use diagnostic tools to help us achieve this goal," said Paul Schreckenberger, Director of the Clinical Microbiology Laboratory at Loyola University Medical Center. "The faster we get test results, the faster we will be able to apply an optimized treatment plan, thus improving overall patient outcomes including reduced deaths, costs and the length of patient hospital stays." 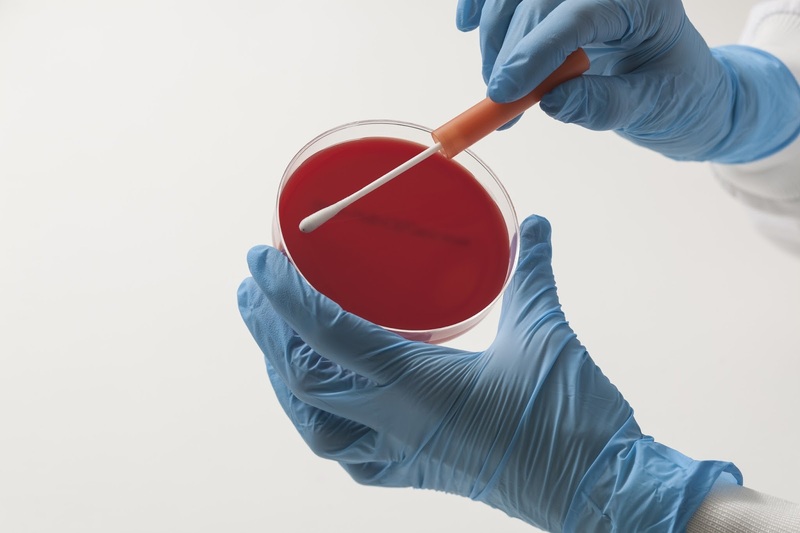 With an easy procedure requiring only two minutes of hands-on time, the BCID Panel can identify a pathogen in nine out of 10 positive blood cultures in about an hour, and is the only test that provides results for gram-positive bacteria, gram-negative bacteria and yeast that cause bloodstream infections. In addition, the panel includes the first FDA cleared diagnostic test for the bla(KPC) gene, which is linked to carbapenem resistance in Klebsiella pneumoniae, Acinetobacter spp and Carbapenem-resistant Enterobacteriaceae (CRE). Bloodstream infections with CREs are reported to kill up to 50 percent of infected patients. The BCID Panel also tests for common antimicrobial resistance genes associated with Methicillin-resistant Staphylococcus aureus (MRSA) and Vancomycin-resistant Enterococci (VRE). "Customer feedback on the BCID Panel has been extremely positive. There is a lot of excitement for this product among our clinical hospital laboratory customers and anticipation for the effect it will likely have on antibiotic stewardship, patient care and cost reduction," said Kirk Ririe, CEO of BioFire Diagnostics. "We expect an immediate increase in revenues since existing FilmArray customers have indicated that they intend to adopt the BCID Panel." BioFire Diagnostics, Inc., formerly Idaho Technology, Inc., is a privately held clinical diagnostics company based in Salt Lake City, Utah. The company manufactures and distributes the user-friendly FilmArray System to hospital-based clinical laboratories across the U.S. and EU. BioFire currently offers the FilmArray Respiratory (RP) Panel and the Blood Culture Identification (BCID) Panel, both FDA-cleared and CE IVD marked. The FilmArray System is a significant advancement in user-friendliness and multiplex infectious disease testing capability for hospital clinical labs. Requiring only two minutes of hands-on time, the FilmArray System has about a 1-hour turnaround time, and each panel simultaneously tests for 20+ pathogens. BioFire holds more than 85 patents related to polymerase chain reaction (PCR), and has used its extensive patent portfolio to successfully market nearly 200 products to the clinical, research and military markets. BioFire customers include the Department of Health and Human Services, the Department of Defense, state and local law enforcement, researchers and medical technicians across a spectrum of fields and industries. Research being carried out at the University of Notre Dame and its affiliated Harper Cancer Research Institute (HCRI) may lead to the development of a rapid, cost-effective means of screening for oral cancers and the human papillomavirus. M. Sharon Stack, Ann F. and Elizabeth Riley director of the HCRI and professor of chemistry and biochemistry, points out that oral cancers are a significant global health problem. Although tobacco and alcohol awareness have helped decrease the overall incidence of oral cancers, HPV positive cancers, especially oropharynx cancers, have risen significantly. Stack and Hsueh-Chia Chang, Bayer Professor of Engineering and director of Notre Dame's Center for Microfluidics and Medical Diagnostics, are attempting to prescreen for oral cancer and HPV by examining the micro-RNAs of tumor cells. They are working on developing a microfluidic sensor to help detect the presence of tumor cells. The researchers point out that to be effective, the screening tests need to be done regularly, for example at a dentist's office during teeth cleaning. Rinsing with a mouthwash at a dentist's office can produce up to 10,000 cells that can be tested. In order to be feasible for a dentist's office, the screening process must be low cost, rapid and patient-friendly. Chang's research group has developed a microfluidic membrane sensor that can be used for this type of rapid screening. Although he points out that his sensor is not as accurate as optical sensors like real-time polymerase chain reaction (PCR), it is much cheaper ($1 versus $45 per test) and is rapid and can be used by personnel in a dentist's office. It also will allow the quantification of a panel of micro-RNAs. The researchers believe that such a rapid and low-cost device would help to better reach high-risk patients prior to development of last-stage disease. 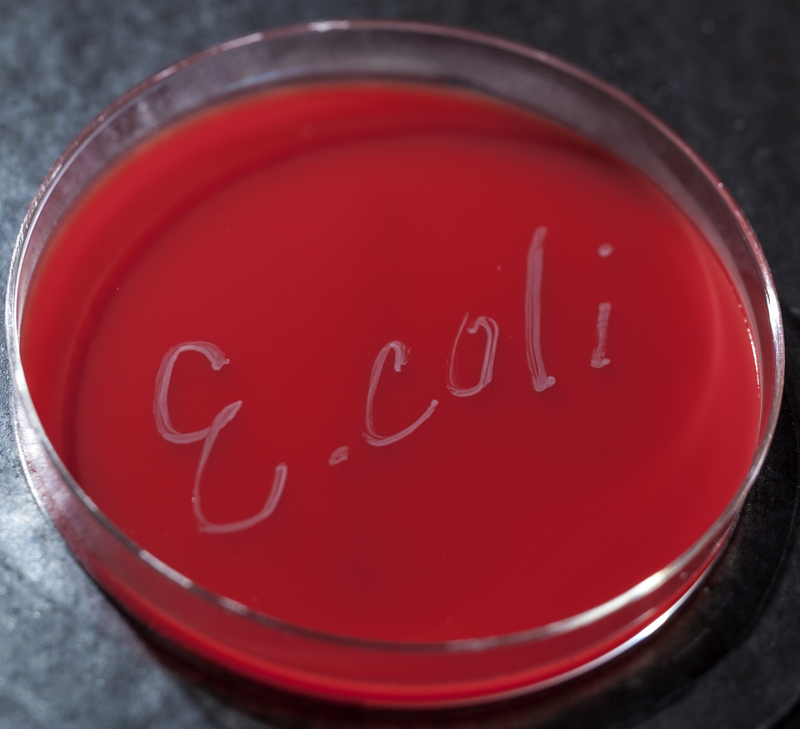 Leading biomaterial manufacturer, Microbiologics, has added a new strain of Shiga-toxin producing Escherichia coli (STEC) to their line of ready-to-use QC microorganism products. Escherichia coli serotype O104:H4 is the strain responsible for the massive and deadly E. coli outbreak in Germany and other European and North American countries from May to July of 2011. Earlier this year, Microbiologics became the first to offer the ‘Big Six’ non-O157 serogroups of Shiga-toxin producing Escherichia coli (STEC) strains in ready-to-use, convenient formats for QC testing. Testing laboratories utilize quality control microorganisms from Microbiologics to validate, verify and monitor the methods, materials and equipment which are used to detect STEC contamination. Microbiologics has added E. coli O104:H4 to their collection of STEC strains in response to customer requests, particularly from Europe. Enterohaemorrhagic E. coli (EHEC) serotype O104:H4 was the cause of the infamous 2011 E. coli outbreak that sickened an astonishing 3,842 people, including 855 with hemolytic uremic syndrome (HUS), and resulted in 53 fatalities throughout Germany. Another 137 cases throughout Europe, including 54 HUS cases and 2 deaths were connected to the E. coli O104 outbreak. Microbiologics manufactures cost‐effective, reliable, and easy to use biological reference materials for Quality Control in microbiology labs. The company specializes in manufacturing lyophilized microorganisms for quality control testing in clinical, pharmaceutical, cosmetic, food quality, and environmental laboratories. Microbiologics is also an FDA registered establishment. In addition, Microbiologics has received ISO 9001 certification, ISO 17025 and ISO Guide 34 accreditations. Currently, Microbiologics has an international distribution network of 139 companies and ships to approximately 140 countries around the world. For additional information, please contact Customer Service at (320) 253-7400, email info@microbiologics.com or visit www.microbiologics.com. Meridian Bioscience, Inc., has announced that it has received FDA clearance for a new molecular diagnostic test for Mycoplasma pneumonia (M. pneumoniae), its fourth assay on the illumigene platform. This innovative test that aids in identifying an important respiratory pathogen is a strong addition to the illumigene platform. Often referred to as “walking pneumonia”, M. pneumoniae has been associated with up to 40% of community-acquired pneumonias. Infection occurs in both children and adults without geographical, gender or climate-related restrictions. M. pneumoniae is most often associated with atypical pneumonia, presenting with symptoms that include headache, malaise, myalgias, fever, and sore throat accompanied by dry, paroxysmal cough. An estimated 2 million cases of M. pneumoniae infection occur annually with approximately 100,000 pneumonia-related hospitalizations in the United States each year. An estimated 18% of M. pneumoniae cases in children require hospitalization. illumigene Mycoplasma, by amplifying the specific DNA for the detection of Mycoplasma pneumoniae, represents a significant advancement in improving healthcare diagnoses and outcomes by providing a definitive result, thus helping to ensure that patients receive the appropriate antibiotic therapy in a timely manner. M. pneumoniae bacterial culture lacks sensitivity and is often impractical for patient management as the organism may take as long as up to six weeks to culture. The illumigene Mycoplasma test is the fourth assay on the illumigene platform and utilizes both throat and nasopharyngeal swab samples. The test procedure is remarkably simple and highly sensitive, allowing the flexibility of multiple specimen types. It requires no expensive capital equipment. The test relies upon a simple procedure that takes less than one hour. The simplicity of this technology, along with its cost efficiency and small footprint, makes this innovative test ideal for enabling a more rapid diagnosis; providing earlier identification of outbreaks and prevention of secondary cases though implementation of control measures. “Up to 40% of community-acquired pneumonia is caused by Mycoplasma pneumoniae and due to rising rates of M. pneumoniae resistance to the macrolides commonly prescribed, the more rapid and accurate result that the illumigene Mycoplasma assay provides will allow for better patient care and safety,” stated Dr. Paul Lephart, Associate Technical Director of Microbiology, Detroit Medical Center University Laboratories. Food is the basis of human survival and development, and its safety is an important issue for people's livelihood, and also an important indicator to measure the quality of people's lives in a country. The statistics showed that the main factor of Chinese food poisoning remained to be microbial pathogens, ranking before the chemical toxin. In food contamination, some common and highly pathogenic pathogens include Listeria monocytogenes, Vibrio parahaemolyticus, Norwalk and Rotavirus, which are the culprit cause of food poisoning. In the hot and humid southern China, the problems caused by these foodborne pathogenic microorganism epidemics are particularly prominent. Therefore, rapid and accurate detection of food pathogenic microorganisms are key technologies to timely control and prevent pathogenic food poisoning. "Recent progress in gene-sensing techniques for rapid detection of foodborne pathogens", written by Dr Xiao Zhu, and with professor Da Xing form Institute of Laser Life Science, South China Normal University as the corresponding author around the characteristics of their research, briefly summarized the latest progresses of rapidly detecting foodborne pathogenic microorganisms based on the recognition of characteristic genes. This paper was published in the Chin Sci Bull (Chin Ver), 2013 year, 11 issue (see below for a link to the abstract). Nowadays, due to the rapid development of molecular biology techniques, especially the emerging new biological detection method based on the recognition of characteristic genes, vitality has been injected in the development of high sensitive and specific detection methods of foodborne pathogenic microorganisms. Compared with the antigen-antibody based detection method, these methods have the advantages of specificity, high sensitivity and wide range of application. Motivated by these theories, Xing's group has successfully developed some foodborne pathogenic microorganisms detection methods with prominent features based on the platforms of electrochemiluminescence (ECL) and microfluidic. Among these researches, the in situ ECL detection system is a representative work, to realize rapid, specific, yet highly sensitive foodborne pathogenic microorganisms genome test. The key idea of the novel system is integrating the in situ nucleic acids amplification using nano-magnetic primers and in situ ECL readout on magnetic beads based detection platform. They used Listeria monocytogenes as the target to examine the proposed technology, reaching a detection limit of fg/μL genome in 1 hour. The novel method has provided the evidence as a proof-of-concept, thus having potential for development of automatic mode for detection of the real samples. Zhu X, Huang R, Xing D. Recent progress in gene-sensing techniques for rapid detection of foodborne pathogens (in Chinese). Chin Sci Bull (Chin Ver), 2013, 58: 961. The Food and Drug Administration has approved a rapid test to determine the genotype of an infected patient’s hepatitis C virus, allowing physicians to better tailor therapy. The RealTime HCV Genotype II can differentiate between genotypes 1, 1a, 1b, 2, 3, 4, and 5. "Along with other clinical factors, the particular type of HCV is an important consideration in aiding health care professionals in determining if and when to initiate treatment and the appropriate type of treatment," said Alberto Gutierrez, Ph.D., director of the Office of In Vitro Diagnostics and Radiological Health in the FDA’s Center for Devices and Radiological Health, in a statement. The diagnostic, manufactured by Abbott Molecular, is approved only for individuals known to be chronically infected with HCV. It is not meant to be used as a screening test or to detect HCV in blood, blood products, or tissue donors, said the FDA. The agency also noted that the RealTime test has not been evaluated in newborns or pediatric patients, or in the immunocompromised. The Centers for Disease Control and Prevention estimates that 3.2 million Americans are chronically infected with HCV. It is the most common chronic bloodborne infection and the leading cause of liver transplants, according to the CDC. The CDC recently urged HCV testing for all Americans born between 1945 and 1965. The FDA said it based its approval of the Abbott test partly by assessing its accuracy in differentiating specific HCV viral genotypes, compared with a validated gene sequencing method. The agency said it also reviewed data that demonstrated the relationship between HCV genotype and effectiveness of drug therapy. The Abbott diagnostic would be ordered after an initial HCV confirmatory test, said the company. The RealTime test runs on an automated platform, "which provides laboratories substantial improvements in workflow efficiency to meet the increased demand," the company said in a statement. "When patients are identified, determining their specific genotype is important to ensuring they receive the treatment that will prove to be most effective," said Dr. Carol Brosgart of the division of global health at the University of California, San Francisco, in the Abbott statement. "The introduction of this test for broad use in the United States is a significant advancement in helping to address an important public health issue." Quidel Corporation, a provider of rapid diagnostic testing solutions, cell-based virology assays and molecular diagnostic systems, announced today that it has received 510(k) clearance from the United States Food and Drug Administration (FDA) for its Sofia Strep A fluorescent immunoassay for use on the Sofia Analyzer for the rapid, objective detection of infections by Group A Streptococcus bacteria. These bacteria are the most common cause of bacterial pharyngitis and can also cause rheumatic fever and other potentially serious illnesses. Sofia is the brand name for Quidel's next-generation, immunoassay system. The Sofia Analyzer and Sofia Strep A FIA combine unique immunofluorescence chemistry, advanced lateral flow technology, and failure alert and fail-safe systems designed to ensure a reliable, objective, highly accurate, diagnostic result within five (5) minutes of application of the patient's specimen. "We are confident that the Sofia Strep A FIA will provide customers with an easy-to-use, fast and accurate solution for the diagnosis of Strep A infections, and will create added utilization for the Sofia platform beyond current influenza testing," said Douglas Bryant, president and chief executive officer of Quidel Corporation. "In the short-term, the clearance of the Sofia Strep A FIA provides us with another catalyst for increasing Sofia placements in the field, and before the onset of the upcoming respiratory disease season. Over the long-term, our premium product addresses a market that, relative to influenza, represents a higher volume opportunity with less seasonality and less volatility." The 510(k) clearance allows Quidel to market and sell its new Sofia Strep A FIA in the United States. The Sofia Analyzer was 510(k) cleared in October of 2011, and its first test, the Sofia Influenza A+B FIA, received Clinical Laboratory Improvement Amendments (CLIA) waiver by the U.S. FDA in April of 2012. Vela Diagnostics today announced the availability of PCR-based Research Use Only (RUO) tests for the identification of genetic targets specific to a new strain of bird flu (H7N9), as well as a highly virulent strain of coronavirus (hCoV-EMC). On concerns with both pathogens causing global outbreaks, Vela’s H7N9 and coronavirus tests are part of a broader program directed at investigating their potential as surveillance tools for patients suspected to be infected by these novel strains of virus. H7N9 strain of avian flu is an Influenza A virus subtype, which has so far infected over 130 people and is associated with a high death rate. The new coronavirus has exhibited human-to-human transmission and has shown to cause symptoms similar to the SARS coronavirus outbreak of 2002-2003, including severe acute pneumonia and death. With plans to run their tests on Vela's automated Sentosa Workflow, with results available in as little as 4 hours, the Company is in the final stage of testing with research partners. While current data suggests that Vela’s currently available influenza A/B, 2009 H1N1 detects the H7N9 strain; the design of Vela’s new test will allow investigators to specifically differentiate the H7N9 strain of avian flu from other strains of the virus. This test is developed under an agreement with the Singapore based company PathGEN Dx. Similarly, the unique targets found within the coronavirus viral genome of hCoV- EMC will allow Vela’s new coronavirus test to specifically identify the hCoV-EMC strain. 3M Food Safety announces the launch of the 3M™ Petrifilm™ Salmonella Express System, a new pathogen detection technology that builds upon a solid platform of pathogen detection solutions. Immediately available worldwide, this system is focused on Salmonella, which comprises nearly half of all pathogen testing. Though not previously available as a pathogen test, 3M™ Petrifilm Plates have transformed the food processing industry to the point that 91 of the top 100 U.S. food processing companies now rely on them for their indicator testing needs. The new system has already received Performance Tested Method (PTM) validation (Certification Number 061301) from AOAC Research Institute. The 3M Petrifilm Salmonella Express System was found to be equivalent to or better than the reference methods for raw ground chicken, pasteurized liquid whole egg, raw ground beef, raw ground pork, cooked chicken nuggets, frozen uncooked shrimp, fresh bunched spinach, dry dog food and stainless steel. Today, the new system provides a shorter time-to-result, more uniform results and a longer shelf life than the conventional agar methods. It provides detection and biochemical confirmation of Salmonella in enriched food and food process environmental samples, including dairy, fruits and vegetables, raw meat, seafood and pet food and results are available in as little as 44 hours – two times faster than traditional agar methods. The easy-to-use system is an all-in-one method. First, the 3M™ Petrifilm™ Salmonella Express Plate is a sample-ready, chromogenic culture medium that is specific to Salmonella and provides a presumptive result. Next, the 3M™ Petrifilm™ Salmonella Express Confirmation Disk contains a substrate that facilitates the biochemical confirmation of all presumptive positive Salmonella colonies on the plate in just four hours. By way of comparison, when food processors outsource sample testing with a third-party contract lab, they’ll commonly wait 24-72 hours for confirmation and pay a nominal amount for each presumptive positive colony requiring confirmation. With the addition of the 3M Petrifilm Salmonella Express System, 3M Food Safety’s pathogen detection portfolio provides a total solution, offering molecular, immunoassay and indicator testing methods. DNA-based solutions include the highly innovative 3M™ Molecular Detection System introduced in December 2011, and the 3M Tecra™ Pathogen and Toxin Visual Immunoassay (VIA). When 3M Petrifilm Plates launched in the mid-1980s, it was widely viewed as a step forward in ensuring the quality and safety of food products. Eliminating the need to prepare, purchase and store agar dishes, they take up 85 percent less space than agar plates, freeing up valuable room in processors’ incubators, lab benches and refrigerators, and reducing company waste. Pathogenica, Inc. announced it had signed a partnership with Targeted Genomics, based in Canberra, Australia, to market and distribute Pathogenica's HAI (Hospital Acquired Infection) BioDetection Kit on an exclusive basis to the Australian and New Zealand markets. The Pathogenica kit is the first DNA sequencing analysis product that enables identification of infectious diseases with sequence-specific resolution at a scale that makes hospital-wide screening practical. Hospital acquired infections are a globally recognized health problem, and Pathogenica’s HAI BioDetection Kit enables health care providers to rapidly characterize, track, and deal with the causative agents, preserving the health of patients and helping hospitals reduce the cost of care. “The Pathogenica HAI solution allows healthcare and research facilities of all sizes to leverage sequencing technology for obtaining useful findings to track HAIs, control outbreaks, and improve quality of care,” said Bill Mobbs, Director of Targeted Genomics. Current methods for pathogen identification can take days to obtain results or are limited to a few organisms. The Pathogenica solution quickly identifies what species are present in a sample and also provides sequence data (including strain identity and resistance genes), which is critical information for understanding and containing, or preventing outbreaks. The kit can detect 12 bacteria commonly associated with HAIs and 18 resistance gene families in a single assay, and simultaneously screens up to 24 samples. The kit offers an impressive “sample to result” turnaround of less than 12 hours and detects co-infections with a high degree of reliability. Pathogenica’s analysis software provides simple, concise output reports that indicate which species and strains are present and at what levels. The technology means better infection control and management because it enables the tracking of outbreak transmission between patients and between sites as well as the analysis of microbial resistance dissemination. The HAI Biodetection kit has the capability to identify and distinguish bacterial pathogens responsible for >90% of nosocomial infections. The platform is also able to quickly incorporate the detection of emerging pathogenic fungi, viruses and resistances. The kit is currently only available for research use and is not intended for diagnostic purposes. The companies have agreed to develop the technology for a wider range of uses in Australia. Pathogenica combines the power of Cloud-based DNA sequencing analysis and next-generation DNA sequencing to revolutionize pathogen identification and enable real-time bio-surveillance. Its DxSeq™ platform offers new applications in health services through rapid multiplex identification of pathogens and drug resistance genes; providing personalized diagnosis for infectious diseases that allows for more effective diagnosis and treatment of patients. Pathogenica’s high throughput pathogen identification system performs rapid and highly sensitive identification of a wide variety of biomarkers using a common assay protocol. About Targeted Genomics Pty Ltd. Targeted Genomics provides genomic testing to the Australian research, medical, veterinary and public health communities for non-standard and technically demanding applications. The business is focused on meeting the requirements of researchers, clinicians and institutions that need to outsource the preparation, management and analysis of samples and data. Targeted Genomics develops end-to-end sequencing solutions, consults on study design, performs contract data analysis, runs third party tests, and develops cutting edge applications of new generation sequencing technologies. Being at the forefront of the introduction of new methods, equipment, reagents and tools to the Australian market positions Targeted Genomics as a specialist in genomic technology transfer. Today Roche announced that the Canadian Health Authority has accepted the use of its PCR based mycoplasma detection test MycoTOOL for release testing of one of Roche’s biological products. The test can replace conventional and time-consuming mycoplasma detection assays based on culture methods and was also accepted by the FDA end of last year. Mycoplasms are frequent causes of contamination in biopharmaceutical production, cell therapy, tissue engineering and vaccine manufacturing. Traditional detection methods, required by Pharmacopoeias and drug regulating agencies worldwide, use growth on culture media and in vitro assays to detect contaminating organisms. Requiring as much as 28 days to complete, these growth-based methods are time-consuming, making them laborious and difficult to interpret. A lecture about the MycoTOOL test will be offered at the Rapid Microbiological Methods Conference taking place on 11 and 12 December 2013 in Munich. The MycoTOOL PCR Mycoplasma Detection Kit provides all critical reagents for performing an easy to use sample preparation and PCR. It offers a high sensitivity (<1 CFU/ml for most isolates) and is compatible with a diverse spectrum of sample types as cellular matrices (Human cells, primary and continuous), canine cells, nonhuman primate cells, many different rodent cell types and cell-free matrices (culture supernatants of CHO or human stem cells, egg derived samples). It detects the broad panel of Mollicute species too, including over 150 species due to universal primer design (e.g. Mycoplasma, Spiroplasma, and Acholeplasma). The test also minimizes the risk of false negative and false positive test results: lysis controls of the matrix eliminate the risk of undetected intracellular Mycoplasma and positive controls verify potential PCR inhibition. Nucleic acid free reagents also prevent false positives and the use of uracil-DNA glycosylase minimizes the risk of PCR carryover contamination. Life-threatening bacterial infections cause tens of thousands of deaths every year in North America. Increasingly, many infections are resistant to first-line antibiotics. Unfortunately, current methods of culturing bacteria in the lab can take days to report the specific source of the infection, and even longer to pinpoint the right antibiotic that will clear the infection. There remains an urgent, unmet need for technologies that can allow bacterial infections to be rapidly and specifically diagnosed. Researchers from the University of Toronto have created an electronic chip with record-breaking speed that can analyze samples for panels of infectious bacteria. The new technology can report the identity of the pathogen in a matter of minutes, and looks for many different bacteria and drug resistance markers in parallel, allowing rapid and specific identification of infectious agents. The advance was reported this month in the journal Nature Communications. "Overuse of antibiotics is driving the continued emergence of drug-resistant bacteria," said Shana Kelley (Pharmacy and Biochemistry), a senior author of the study. "A chief reason for use of ineffective or inappropriate antibiotics is the lack of a technology that rapidly offers physicians detailed information about the specific cause of the infection." The researchers developed an integrated circuit that could detect bacteria at concentrations found in patients presenting with a urinary tract infection. "The chip reported accurately on the type of bacteria in a sample, along with whether the pathogen possessed drug resistance," explained Chemistry Ph.D. student Brian Lam, the first author of the study. One key to the advance was the design of an integrated circuit that could accommodate a panel of many biomarkers. "The team discovered how to use the liquids in which biological samples are immersed as a 'switch' – allowing us to look separately for each biomarker in the sample in turn," said Ted Sargent (Electrical and Computer Engineering), the other senior author of the report. "The solution-based circuit chip rapidly and identifies and determines the antibiotic resistance of multiple pathogens – this represents a significant advance in biomolecular sensing," said Paul S. Weiss, Kavli Chair in NanoSystems Science and Director of the California NanoSystems Institute at UCLA. Ihor Boszko, Director of Business Development at Xagenic, a Toronto-based in vitro diagnostics company said the breakthrough could have significant practical implications. "This kind of highly sensitive, enzyme-free electrochemical detection technology will have tremendous utility for near patient clinical diagnostics. Multiplexing of in vitro diagnostic approach adds the capability of simultaneously testing for multiple viruses or bacteria that produce similar clinical symptoms. It also allows for simple and cost effective manufacturing of highly multiplexed electrochemical detectors, which will certainly have a significant impact on the availability of effective diagnostic tools." As world leader in the field of industrial microbiology control, bioMérieux is proud to celebrate the 10th anniversary of BioBall®, an innovative technology for quantitative microbiology Quality Control for the biopharmaceutical and cosmetic industries. The patented BioBall technology uses a small, water-soluble ball containing a precise number of viable micro-organisms derived from strains sourced from internationally-recognized culture collections. Over the past 10 years, Bioball technology has been used in quality assurance to verify the performance of control methods and allow certification of the quality of culture media faster and with unprecedented accuracy than other methods. With the acquisition of the Australian company BTF in 2007, bioMérieux enlarged its product portfolio and brought solutions integrating BTF’s innovative technology, such as BioBall, to a wide customer base. With more than 25 strains currently available, the BioBall menu has experienced constant development over the last decade. Since 2010, customers wishing to perform quality control with their own plant isolates or wild strains have been able to do so thanks to the BioBall Custom Services (Plant Isolate) option. In addition, the BioBall Mixed Kits in packs containing 10 of the most relevant pharmacopoeia strains required for quantitative microbiology brought additional flexibility and convenience to laboratories performing small numbers of samples per day. Today, BioBall is used routinely by the top 20 biopharmaceutical industries worldwide. The anniversary of Bioball marks 10 years of expertise in providing precise quantitative reference samples for use in analytical laboratories worldwide. bioMérieux will continue to foster innovation and development over the next decades to bring high quality solutions to its customers throughout the world. Invisible Sentinel Inc., a life-sciences company that develops rapid diagnostics for the detection of foodborne pathogens, announced today that its first-in-class rapid diagnostic for the detection of Listeria monocytogenes received certification from the Association of Analytical Communities (AOAC). The assay has been approved for use in detecting bacterial contamination by L. monocytogenes in various food types, including ready-to-eat foods, deli meat, and dairy products, and on various surfaces with which food is in contact during preparation and packaging. The AOAC is a global standardization organization that validates analytical test methods for the food industry. The AOAC Performance Tested Methods(SM) designation is recognized by the US Department of Agriculture, the Food and Drug Administration, and global regulatory agencies. "This approval demonstrates our progress in expanding the Veriflow™ product line to detect a growing list of foodborne pathogens," said Ben Pascal, co-founder of Invisible Sentinel. "Like other diagnostics in the Veriflow™ system, Veriflow™ Listeria monocytogenes (Veriflow™ LM) features accessibility and simplicity not typically associated with other molecular technologies." The first approval by the AOAC of such a hand-held diagnostic came last October, when the organization certified Veriflow™ Campylobacter Assay (Veriflow™ CA) to detect the bacteria Campylobacter jejuni and Campylobacter coli in poultry. Currently in the AOAC review process for certification are additional Veriflow™ assays to detect pan-Listeria species, pan-Salmonella species, and Shiga toxin-producing Escherichia coli (STEC). "We intend to provide a complete suite of pathogen-detection solutions to the food industry by the fourth quarter of 2013," said Nick Siciliano, co-founder of Invisible Sentinel. Listeria monocytogenes is a potentially deadly foodborne bacterial pathogen. Listeria can be found in soil and water, and animals can carry the bacteria without appearing ill. Infection typically causes gastrointestinal symptoms, fever, and muscle aches. An "invasive" infection can cause miscarriage and death. Among multistate outbreaks in recent years were one in 2011 linked to contaminated cantaloupes (143 cases, 1 miscarriage, and 33 deaths) and another in 2012 linked to contaminated ricotta cheese (22 cases, 1 miscarriage, and 2 deaths). Veriflow™ Listeria monocytogenes (Veriflow™ LM) is available directly from Invisible Sentinel. A student-professor team at Case Western Reserve University has invented a hand-held malaria detector that works on an unusual principle: Malaria parasites are stuffed with iron, so their innards can be magnetized. The team, which has incorporated itself as the Disease Diagnostic Group, is seeking investors to pay for field tests to prove that its device works as well on the African front lines as it does in a Cleveland lab. Its pitch is that its battery-powered box, which costs $250 to make, can undercut the price of current chemical-based rapid test kits by at least 50 cents per test and pay for itself quickly. The company claims its test is far more accurate than the kits at detecting low-level infections. It has long been known that malaria parasites eat the hemoglobin in red blood cells but cannot digest its iron nor excrete it. Each parasite has a holding tank called a food vacuole filled with iron-rich crystallized hemozoin. A proposal to gently microwave malaria victims to explode the parasites was based on that fact. The Case Western device dilutes a drop of blood with water, places a magnetic field around it and shines a laser through it. If the blood has parasites, the water splits them and the needle-shaped hemozoin crystals line up in the magnetic field, partly blocking the laser. In tests on stored blood samples from Papua New Guinea, said Brian T. Grimberg, a Case Western biologist, the magnet-laser box was almost twice as accurate as a microscope technician at finding parasites, and more than three times as accurate as the kits. The rapid kits, introduced in the last decade, have sped up malaria diagnoses in rural clinics, but they cost at least $1 each and expire in hot climates, Dr. Grimberg added. His device failed to win grant support from the Bill & Melinda Gates Foundation, Dr. Grimberg said, but that was before the recent blood tests. A foundation spokeswoman said that she did not know why any single one of thousands of applications was denied, but that the foundation was interested in iron-based malaria detection. Neogen's ANSR™ for Salmonella has been validated and approved in accordance with the current and stringent criteria of a NF Validation study carried out according to the EN ISO 16140 standard. This new validation (NF Validation by AFNOR certification NEO 35/02-0513) follows the kit's initial approval by AOAC International and testifies to Neogen's dedication to increasing its line of accredited pathogen test kits for accurate and rapid results with minimal steps for users. The ANSR system uses an innovative isothermal DNA amplification process and fluorescent molecular beacon technology for detection of the pathogen target. "The NF validation of ANSR for Salmonella will allow Neogen access to a number of European markets, and beyond, where the use of the test requires an accreditation study carried out according to the AFNOR standard," said Neogen's Steve Chambers. "The ANSR for Salmonella system cuts the wait time for definitive results, with only 10 minutes of reaction time following sample enrichment. Other commercially available molecular amplification tests require up to three hours of reaction time." In the NF validation study, ANSR for Salmonella was found to be an effective procedure for the detection of Salmonella in meat, poultry, dairy, seafood and vegetables. Neogen is currently pursuing a similar validation of its ANSR for Listeria rapid molecular test system. Unlike PCR-based methods, ANSR requires only a single reaction temperature, which completely eliminates the time-consuming heating and cooling cycles of older methods. The ANSR system's small bench top footprint and extremely simple test procedure make it an easy fit in any laboratory workflow. Food microbiology laboratories can now confidently test to a recognized standard for Salmonella species with the Thermo Scientific SureTect Salmonella Species Assay, which has been granted Performance Tested MethodSM status by the AOAC Research Institute. PositiveID Corporation, a developer of biological detection and diagnostics solutions, today announced that Chief Technology Advisor Dr. Kimothy Smith is a featured presenter at the 21st International Conference for Biodetection Technologies 2013 in Alexandria, VA, at the Hilton Alexandria Mark Center Conference Center. Dr. Smith is scheduled to present at 4 pm ET on June 18, 2013, and will discuss the Company's technological advances in the detection and identification of biological threats, specifically its M-BAND (Microfluidics-based Bioagent Autonomous Networked Detector) and Firefly Dx detection system ("Firefly"). PositiveID's M-BAND system, developed under contract with the U.S. Department of Homeland Security Science & Technology directorate, is a bio-aerosol monitor with fully integrated systems for sample collection, processing and detection modules that continuously analyze air samples for the detection of bacteria, viruses, and toxins. Results are reported via a secure wireless network in real time to give an accurate and up to date status for fielded instruments. The goal of Firefly is to take the Company's patented molecular diagnostic technology underlying M-BAND, and implement it in a handheld device that can be used anywhere, anytime to test for biological agents. Firefly is being designed as a portable, point-of-need molecular diagnostic system to provide test results from sample input through reporting of results in less than 15 to 30 minutes depending on the type of test performed. Firefly is expected to quickly process human and agricultural samples to provide accurate confirmation of biological threats via a smart-phone application. The Company believes the target markets for Firefly include military field deployments, remote areas with limited or no access to healthcare, border locations and others. PositiveID Corporation is an emerging growth company and developer of biological detection systems for America's homeland defense industry as well as rapid medical testing. PositiveID is focused on the development of microfluidic systems for the automated preparation of and performance of biological assays in order to detect biological threats at high-value locations, as well as analyze samples in a medical environment. This April marked the 10-year anniversary of the release of the first human genome reference sequence, an epic milestone in the annals of medical science. The use of “first-generation sequencing” required over a decade and almost $3 billion. Today’s next-generation sequencing (NGS) technologies can do the same in just three days for about $3,000. This represents a remarkable leap in efficiency, making NGS viable even for selected clinical applications. But the real growth in clinical sequencing is yet to come. Consistent with the life cycles of the transformative medical technologies that came before it, NGS is now entering the clinical phase of its adoption cycle. Typically, transformative technology adop-tion moves from basic research to translational research and, finally, to the clinic within six to eight years. As the first NGS publication came out in 2005, the technology seems to be maturing in line with past transformative technologies. Previously, given its workflow complexities, difficulty in interpreting the data, and high cost per sample, NGS use was limited to basic research applications. However, in the last few years alone, leading medical centers have begun to incorporate NGS into their clinical testing toolboxes. Our recent discussions with lab directors of large and mid-sized hospitals uncovered a high level of interest in NGS, and a belief that use of the technology for select clinical applications is poised to become common practice within the next few years. Rapid clinical NGS adoption will be driven by novel applications, commercial reference lab offerings, and eventual FDA clearance. Comprehensive oncology panels: NGS’ high-throughput, unbiased nature, and high sensitivity enable users to interrogate a large number of genes (e.g., entire oncology pathways), assess large DNA rearrangements, and evaluate tumor heterogeneity. Assessment of diseases of unknown etiology: NGS’ high-throughput and unbiased nature allows users to identify mutations in a patient’s genome or exome and potentially identify the cause of a previously idiopathic disease. Infectious disease identification and surveillance: NGS enables the rapid identification of new infectious disease strains, as well as the genes that can inform disease management and prevention (as demonstrated during the 2011 E. coli outbreak in Europe). Additionally, a number of commercial reference labs (e.g., GeneDx) and academic institutions (e.g., the Broad Institute) have started to offer NGS panels interrogating a select number of genes (typically between 10 and 300), whole-exome sequencing (assessing 1–2% of the genome that codes proteins), or even whole-genome sequencing (examining all 3 billion base pairs). For example, InVitae offers a sequencing service that screens across 264 conditions (customizable by the healthcare provider) for $1,500, with a two-week turnaround time. DeciBio expects that by 2015, one or more NGS platforms and select kits will be cleared by the FDA for clinical use, defining an inflection point in the use of this technology in the clinic, particularly for small and mid-sized hospitals. Still, widespread clinical adoption of NGS will be moderated by the actionability of results and payer reimbursement. Many mutations identified when performing exome or whole-genome sequencing are not currently clinically actionable, either because the functional impact of the mutation is unknown or because there is no therapeutic intervention to target that specific gene. Without actionability, genome and exome sequencing have a real barrier to overcome before reimbursement can be established. Limited reimbursement means limited adoption, given the high out-of-pocket costs for patients. However, for targeted NGS tests with established clinical utility (e.g., Sequenom’s MaterniT21 for trisomy 21) some insurance companies, including Aetna, Wellpoint, and United Healthcare already provide reimbursement. PathoGenetix, Inc., a commercial-stage developer of an automated system for rapid bacterial identification, has announced new research demonstrating the use of Genome Sequence Scanning™ (GSS™) technology to confirm and identify pathogenic Salmonella strains in enriched spinach samples in less than five hours. The study findings were detailed in a poster presented last week at the General Meeting of the American Society for Microbiology in Denver. The results demonstrate the ability of GSS to shorten the time for pathogen subtyping and serotype determination from an enriched food sample, and to quickly derive additional strain and serotype information from the numerous pathogen screening tests commonly used in the food industry. Because GSS isolates and scans microbial DNA directly from a mixed culture and does not require a pure culture isolate, it greatly reduces the time, complexity, skill and cost required by other molecular and whole genome identification approaches. As a result, GSS can enable quicker decisions affecting food safety and public health. The GSS technology will be commercially available in 2014 in the RESOLUTION™ Microbial Genotyping System. The research spiked ten common Salmonella strains in leafy spinach greens including multiple serotypes of Typhimurium and Enteritidis, as well as the Javiana, Newport, Montevideo and Heidelberg serotypes. The test samples modeled “presumptive-positive” enriched food samples like those that would result from a pathogen screening test indicating the presence of Salmonella. Additional non-Salmonella bacteria were added to half of the test samples to evaluate the technology’s ability to identify and strain type Salmonella in the presence of competing background microorganisms. Of the 120 samples spiked with Salmonella, GSS positively identified the correct Salmonella serotype in 116 of the samples. (Salmonella was not detected in four samples, due to poor growth of Salmonella in the enrichment of the initial sample, not related to the GSS technology.) The strain type information provided by GSS was comparable to pulsed field gel electrophoresis (PFGE), the current standard for pathogen typing in foodborne outbreak investigation and response. No false positives were recorded from the 12 control samples that had not been spiked with Salmonella. According to the 2011 Estimates for Foodborne Illness from the Centers for Disease Control and Prevention (CDC), Salmonella is the second most common pathogen contributing to domestically acquired foodborne illnesses, causing well over one million illnesses (1,027,561) each year. It tops the list in number of hospitalizations and deaths, and is responsible for an estimated 19,336 hospitalizations (35%) and 378 deaths (28%) each year. Other research presented by PathoGenetix at ASM showed that GSS also can be used to reliably differentiate and strain type pathogenic E. coli, including the most frequently isolated STEC (Shiga toxin-producing E. coli) serotypes from both sporadic cases and multiple foodborne illness outbreaks.